Despite the promise of political satire in its title, David Herd's first collection, Mandelson! Mandelson! : A Memoir (2005), wasn't about New Labour's infamous spin doctor. Nor was it much of a memoir. 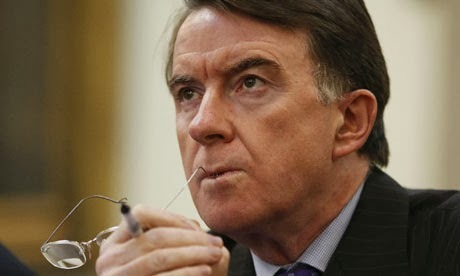 Instead, its concern was "the age of Mandelson": a world of hyperreality, sinister anonymity, confusion, mis- and disinformation overload, surface sheen and little substance. The book's brisk, tumbling, disorienting poems supplied a mimetic equivalent to our early twenty-first century, where politics, and indeed the language we use, have become increasingly divorced from any stable sense of reality. Herd's style was not a new one. The influence of John Ashbery and the New York School is apparent in any postmodern attempt to make poems a direct record of the muddled process that engenders them. Nevertheless, Herd's mixture of broad societal concerns with that particular kind of poetics produced a first book that was as provocative and freewheeling as it was deliberately baffling and infuriating. His new collection, All Just, sees a continuation of that project. Its title strikes a note of exasperation and inequity, but also gestures towards the shortcomings of language: semantic slipperiness, contextual imprecision and redundant cliché may be permanent problems, but these, the poems imply, are exacerbated by the babble, officialese and celerity of our times. The book's opening poem, "3 a.m.", looks beyond Ashbery and back to Arthur Rimbaud, one of the original pioneers of lyrical abandonment, recasting the prose style of the enfant terrible's letters as an embryonic poetics. Its appeal to Herd surfaces in a mixture of Rimbaud's staccato syntax and swatches of fractured phrases, the twin bases of All Just's disjointed bricolage. Yet Herd also shares Rimbaud's appetite for sensory disorder and self-abnegation, part of a professed attempt to free language (and thus, in an Orwellian sense, thought) from its customary structures, returning the world to itself through willed objectivity. "Objective Song" formulates this position with unusual clarity, its speaker remembering how he once "wanted things / fixed", before his recognition of the undecidable flux of the world took hold. Rimbaud's drunken boat even makes an appearance. The problem is that the majority of the poems in All Just do not fully live up to this ambitious agenda. There is often a satisfying sense of serious play in Herd's writing. 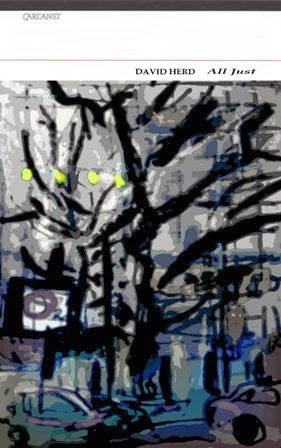 "Outwith", which takes its title from a Scots word for "outsideness", cuts and pastes together descriptions of a landscape with snatches of a recorded phone message, conjuring the homogenized non-places contemporary society creates, while also undermining any coherent sense of self in its abandoned lyric "I". Elsewhere, "3 poems becoming elegy" posits cellular duplication as an analogy for "what the poem hankers after": "another poem, / splitting itself off" provides a curious image for the abrupt departures and collisions of register, syntax, rhythm and sense that Herd's poems deploy. Pithy vignettes, billed as "songs", also pepper the book with a pared-back imagism. But too often Herd's poems merely reflect and revel in disorder and fragmentation, rather than attempting to reimagine and renew their subjects. This is the work of a keen intelligence, so why it frequently fails to recognize that difficulty, never simply a virtue in itself, requires a reward commensurate with the effort demanded of the reader is more of a puzzle than the poems themselves. The book's more directly enquiring pieces are the most rewarding. In rendering sociopolitical issues personal, "The hearing" allows its human subject - an immigrant woman and her complex circumstances - to emerge in a powerful blend of perspectives and languages, while "Fact" borrows the title of William Carlos Williams's "This Is Just To Say" to signal the disturbing lack of rights afforded to an immigrant detainee. Herd deserves recognition for broaching such difficult material. Yet, despite this, All Just remains a book that offers too little to frame the chaos it reflects, asking more of its readers than it tends to return. Ben was born in Staffordshire and now lives in Sheffield, South Yorkshire. In 2014 he won the Poetry Business Competition and a Northern Writers' Award, and in 2015 he was awarded a writers' grant from Arts Council England. He is a keen distance runner, lifelong Liverpool FC fan, and he writes criticism for The Guardian, The Poetry Review and the Times Literary Supplement. He lectures at the University of Bolton. 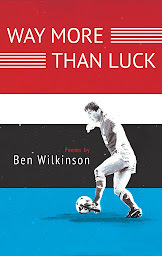 His debut collection of poems, Way More Than Luck, will be published by Seren Books in early 2018.